Are You Planning for Your Final Expenses? If so, you may be looking around to find the very best funeral expenses life insurance plan. But, what is the best life insurance to cover the cost of a funeral? First, you’ll want to consider a few important issues before selecting your policy; such as, what does a funeral cost, how much insurance to get, what type of life insurance you need, and how to get insured, even if you have health issues. So, how much insurance do you really need? Since the average cost of a funeral and related burial expenses is around $8,500 you’ll probably want to use that figure as a benchmark. Next, how much money will you have saved to pay for your funeral expenses? If you have nothing saved you probably need around $8,500 of insurance to cover your final expenses. The average funeral costs around $8,543 today. That is up significantly from about $6,000 from the turn of the 21st century. This figure is according to a recent survey conducted on behalf of the National Funeral Directors Association. There may be other expenses associated with your funeral depending on the funeral home that you choose and the type of burial casket, grave marker, and services you want provided. For example, a chapel service can run you a considerable amount, especially if the service is conducted at a facility separate from the funeral home. Now, you’ll also want to choose a permanent life insurance policy which means, you will have life insurance protection that is guaranteed to last for your entire lifetime – you will not outlive the duration of your insurance. That way, as long as you pay your premiums on time, the death benefit will be paid out on your insurance when you pass away. If you have any pre-existing health conditions you may find it difficult to get approved for life insurance, and it may be very costly. If you are over age 70 or 75, you may find it difficult to find an affordable life insurance plan, if you are approved for life insurance. If you have already applied for a life insurance policy and been turned down you may be wondering what options you have left to get insured. Whether you are over 75, have a health problem, or have been denied life insurance, you can get life insurance to cover your funeral expenses. It’s called Guaranteed Issue permanent life insurance because it guarantees your approval for coverage regardless of your health. As long as you meet the age requirements, you can get life insurance to pay for your funeral costs. One leading life insurer offers guaranteed approval plans for people ages 45 to 85. How Much Guaranteed Insurance is Available? United of Omaha Life offers up to $25,000 of life insurance with guaranteed approval. What If I Change My Mind After Buying a Policy? 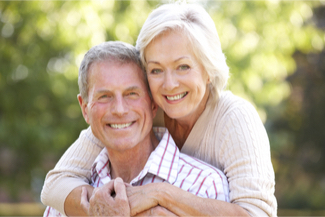 With United of Omaha your life insurance policy comes with a 60 day money-back guarantee. That means, you have 60 days after receiving your policy to review it and decide if you want to keep your coverage. If you don’t want the life insurance you can return your policy within 60 days to get a full refund of all premiums paid. Can I Get Insurance for My Spouse, Too? Yes, guaranteed life insurance coverage is available for spouses, and you can get life insurance on your spouse.